Are you going skiing or riding today? Make sure that you get the Big Sky Snow Report and check the weather so you're prepared for whatever Mother Nature throws your way. Weather plays a major role in the world of skiing and snowboarding. Snow, temperatures, wind, and cloud cover directly affect how we approach our day on the slopes or in the backcountry. It's wise to check the weather every single morning over your cup of coffee so that you're prepared for the day and you know what to expect. Winter weather dictates how long it's going to take to get to the slopes, how we should plan our day in the mountains, which skis we should ride for the day, what we need to wear to stay warm, what goggle lens we should use, and whether we should call in sick to work (of course no one ever does that!). 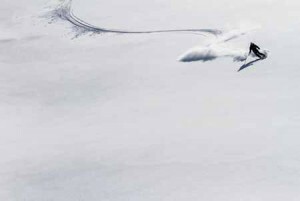 Big Sky Resort Snow Report & Conditions - If you're looking for the Big Sky Snow Report check out BigSkyResort.com. You'll find the snow totals, acreage open, snow depth, surface conditions, temperatures, lift status, and so much more. National Weather Service - The NWS is one of the most accurate sources for weather in the Big Sky area. Accuweather.com - If you're looking for easy access to long term forecasts and radar, visit Accuweather. Weather.com - Weather.com is one of the Internet's more reliable sources of weather. Gallatin National Forest Avalanche Forecast - The GNFAC focuses on avalanche conditions in the area, but they also provide detailed weather reports and forecasts. WUnderground.com - Weather Underground has easy access to weather data to help you prepare for the day. Yellowstone Club Ski Report - The YC provides the snow report for the resort. Checking the weather and the Big Sky Snow Report will help you know what's going on. Will it be bluebird skies or overcast? Is it going to snow? 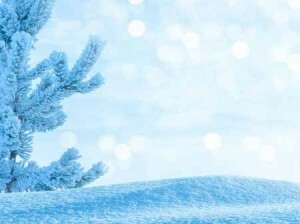 What aspects will hold the best snow? Will it be windy or calm? Do you need extra layers to stay warm? Is it a powder day or groomer day? Will there be delays opening terrain for avalanche control? Will the snow be so good tomorrow that you need to change your flight? Weather can often have a mind of its own so always be prepared for anything in the mountains. If you want to maximize your Big Sky experience, watch the weather. Read the Big Sky Snow Report, check the radar, and monitor the forecast. Hopefully the above links will help you enjoy your time in Big Sky even more.